If you like the idea of working as a courier then you’re not alone. A lot of people like the idea of driving for a living but don’t necessarily want to drive a truck or become a taxi driver, where you have the risk of dealing with unruly and potentially violent passengers. Working as a courier can be a great way to make a living but you should be well informed about the realities of the job before making a decision. When you choose to work as a courier, you have two main options – either work for a large, established courier firm; or set up on your own as a freelancer. Before looking at the pros and cons of both, let’s look at the requirements for becoming a courier driver. Good organisational skills – You need to be able to keep track of the parcels you’ve delivered, know where you’re going next and the best route to take. Good driving skills – As well as being able to drive a van well, you should also have a good sense of direction and be able to stay calm under pressure. 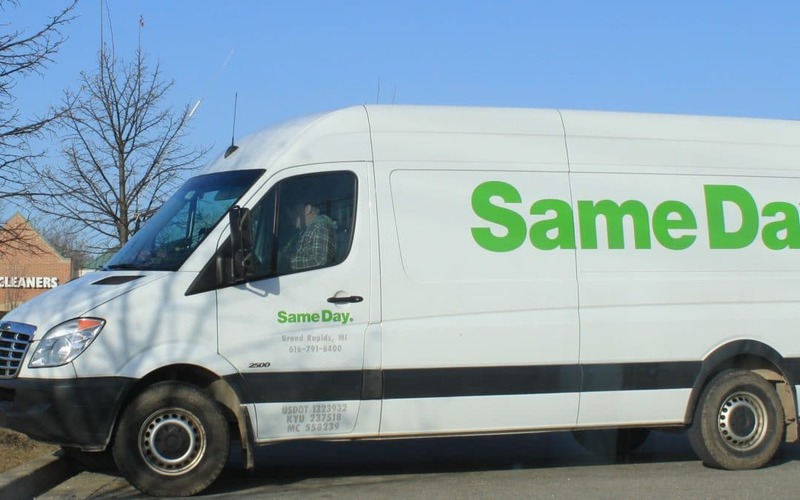 A friendly and helpful demenour – You’re going to be dealing with the public all the time working as a courier so you’ll need to be friendly and polite and willing to help with any issues that might arise.